Newtec is specialized in designing, developing and manufacturing equipment and technologies for satellite communications. As a pioneer in the industry, Newtec is dedicated to creating new possibilities for the broadcast, IP trunking and backhauling, consumer and enterprise VSAT and government and defense markets. Our products and technologies can be applied in a wide range of applications from DTH broadcasting, video contribution and distribution and disaster recovery and backbones for backhauling, to small and medium enterprises, SCADA networks, manned and unmanned aircrafts, border control and Morale, Welfare and Recreation (MWR). For over 28 years, our dedicated team of specialists has set industry standards with the most efficient, scalable and economical technology solutions. New challenges and customer needs offer opportunities to explore new boundaries. This empowers us to work even harder, helping customers to perform their best so that, together, we can make the world a safer, more informed and connected place. As a result, more than 3 billion people watch TV every day thanks to Newtec technology. 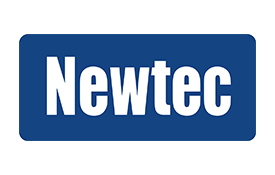 Newtec is a European company founded in 1985. Through commercial offices in Sint-Niklaas (Belgium), Dubai (UAE), Singapore, Beijing (China), Sao Paulo (Brazil) and Stamford, CT (USA) as well as an extensive network of over 90 certified partners, Newtec can meet customer’s needs worldwide.